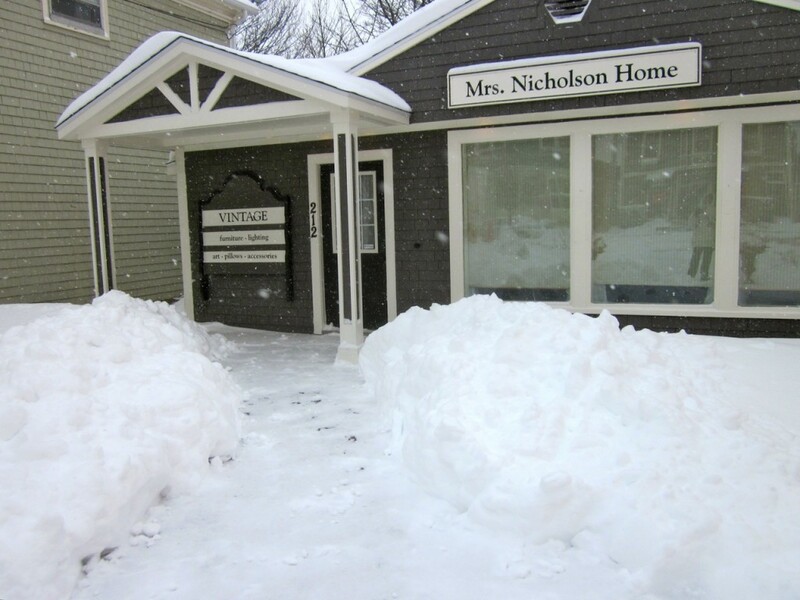 Mrs. Nicholson Home may be closed for shopping but we have to keep the pathway to the door front open ! As Jane is off enjoying the sun on a cruise (no, I’m NOT jealous), it falls to me to do the snow shoveling. We had quite a little blizzard this past Wednesday and a terrific drift always seems to form right at our front door. Thursday was a shovel out day. See pics below. 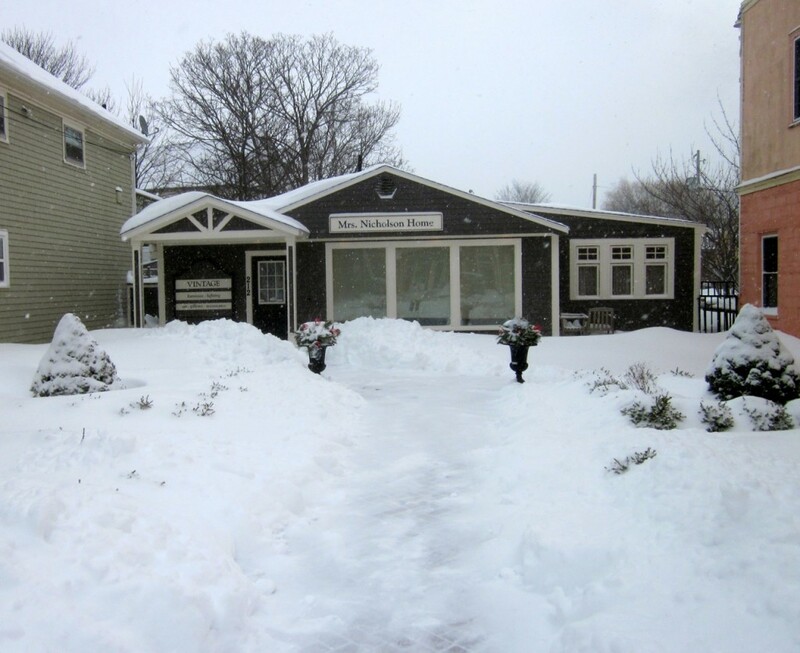 However, here in the TPT (tiny perfect town) there are lots of winter activities to stay active. You can borrow snowshoes at our famous Historic Gardens (www.historicgardens.com) and wander the trails there. You can cross-country ski just outside of town or around the Basin Trail in town and you can meet at the gym at the Academy almost every night for some sort of physical activity: cricket, indoor field hockey, indoor soccer, badminton and fitness classes. Of course, I am also busy hunting out new treasures for the next season of Mrs. Nicholson Home! Digging out after the latest blizzard on January 22nd.